Read 2 times. Last read March 5, 2018 to March 8, 2018. 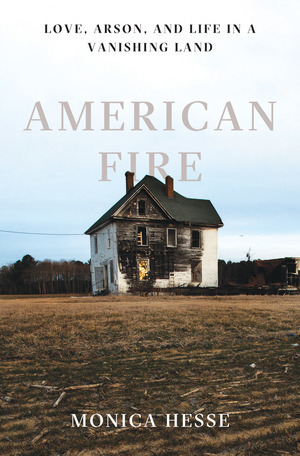 American Fire by Monica Hesse is the true story of a string of fire in Accomack County, Virginia, in which over 60 fires were set. Accomack County is the small 60 mile stretch of land on the Delmarva peninsula, the tip. Right away Hesse tells us who the perpetrators are of these arsons, so there isn't much mystery about who did it but the real mystery is why they did it. Our main suspect is Charlie, a man who has struggled with addiction and impulse control his entire life. Charlie was in and out of jail for most of his young life and ended up falling head over heels in love with a woman named Tonya. Tonya was a dancer, bartender, and a caretaker in Accomack County that had a few children. Together, their relationship was en fuego. What made this story so interesting to me is that I only live maybe 30minutes from Accomack County, so the story being set, the financial issues in the area, and the people, all felt very familiar to me. As much as this story is about arson it is also about the death of rural America and what that means to the people living in those spaces. Hesse writes with a simplistic yet revealing way that is both intimate and real. This writing style can really work for people or it could really bore people too. I was somewhere in the middle, I thought at times the writing style was fantastic given the subjects of investigation, but I also found myself getting bored at times. This is a rather short read that I liked but wasn't in love with. I think it is a great book to talk about with other people and how we each view the circumstances differently. It's one of those books that will make you angry with the people in it. I'd recommend it to anyone that wants to read information about rural America, especially if you don't have first-hand experience with "country folk," or I would recommend it to people that do know the setting intimately.